I’ve been on the internet for quite a while….over 12 years. And in this time, I’ve hopped around on shop platforms like crazy. I’m not really sure why or the reason was around switching and moving so often. I may have felt like it just wasn’t ‘right’ and that certain things bugged me to the point that I would hop over to a new platform or program and give it a try. To put together a list of what I’ve used in the past would take a bit of time. The big ones though were Craftsy, Etsy, Woocommerce, Bigcommerce, Getdpd, SendOwl, and more! While I still have and Etsy store (because, why not! ), the others are gone. This past year I explore quite a few before settling on Shopify. And, now- I believe it’s the best move I’ve done for my pattern shop and company. It’s by far the best performer and the one shop that has given me the least issues. Some of the issues I was dealing with before were – lost emails, emails not sent, downloads not accessible, logging in, account creations, sites were down…you get the point. While most of these can be fixed with a quick email- they were time consuming and such a drain on the spirit! It made me not promote my patterns. It made me not send people to my shop. I cringed when the idea of linking to it- and that’s not a good thing! This has brought me to a new adventure- Quilters Design Studio. This is a new area for me….teaching business topics, instead of quilting topics. I don’t mind it though as it’s new and exciting and anytime I get to chat blogging is a good time. To mix the business side of things along with the creative is the best combination I think. We are a mix and collection of thinkers- who are ready to explore and experiment with new ideas! This can lead us down a rabbit hole, so I’ve been cautious in this area, so that is whey it’s taken me this long to actually announce it and post about it. I have a few additional ideas that may be put out there later this year, but for now I’m sticking with the Shopify course. 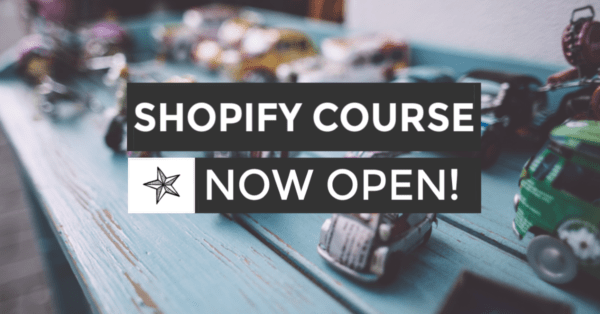 Create a Shop is an 8 week course all about building and customizing your own personal Shopify store. Your shop by the end will reflect your brand, function just like you want it to and you’ll be so happy and proud– you’ll promote it a ton and thus sell more! Can you relate to this?! That was totally me too! I tried and experimented with them all! I know what to look for now and what works and what doesn’t. We are creative people! We don’t necessarily have the brains, time or energy to spend figuring everything out. If you’d rather be ….quilting, sewing, painting, or napping…or whatever! this Create a Shop course is for you. We’ll work through the sections TOGETHER. You’ll be able to get the steps done and keep up. We’ll hit the topics you are needing and figure out the issues you are facing. I’ve loved working through this course with others– and they have had some great results. Their shops are successful. They are confident in their promotions and how things are working behind the scenes. Plus, they get to spend more time on their hobby and passion and business instead of stressing over minor details and programming issues. I invite you to join me this month and let’s work on getting your shop live and updated and ready for orders!